The stylish solution for storage and transport of your Shadespire warband The Farstriders. These experienced hunters were originally part of a detachment sent to Shadespire to investigate potential cures for the Stormcast Eternals' ailment. By this they also became prisoners of the Mirrored City. 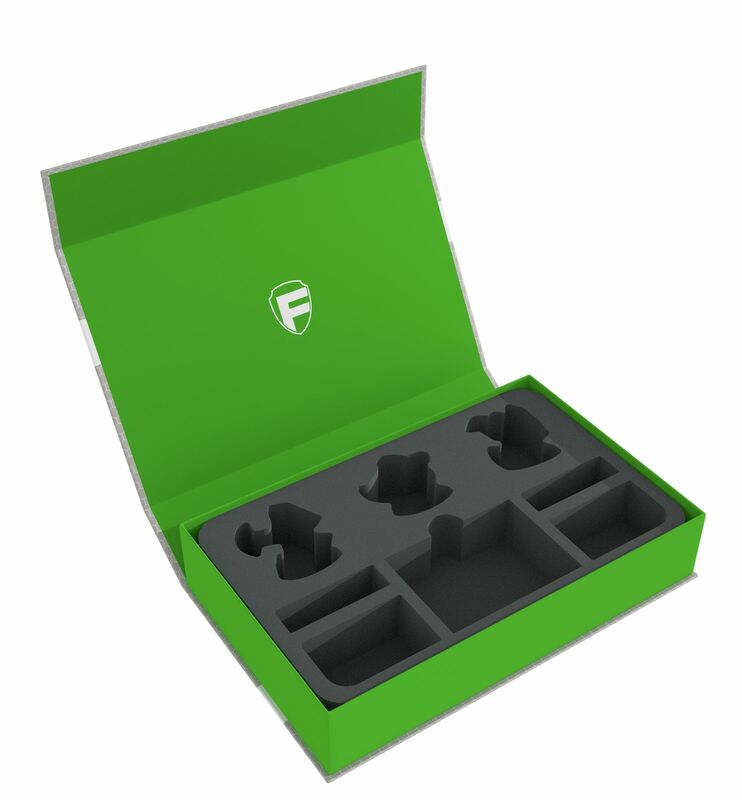 To make their stay more comfortable, we can offer you the green Magnetic Box containing the foam tray, including a foam topper. 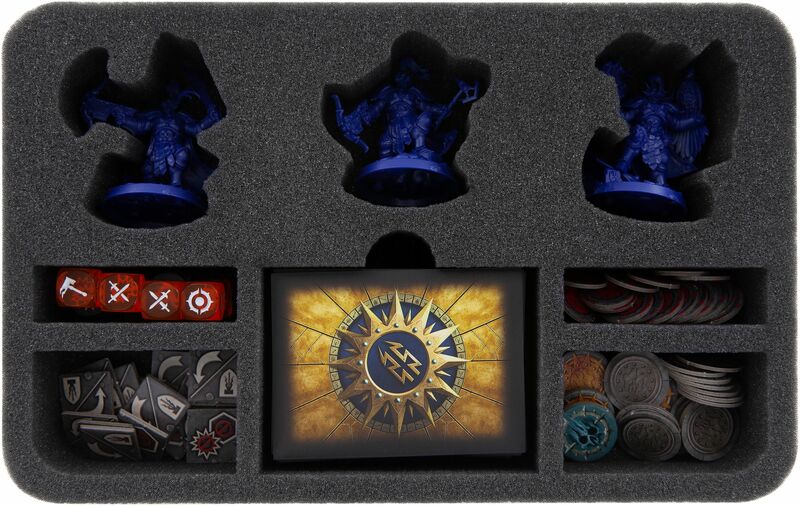 In the foam tray there are three compartments, individually cut for the miniatures of Sanson Farstrider, Almeric Eagle-Eye and Elias Swiftblade. This customized cutting prevents the figures from slipping around. This avoids damage caused by abrasion on painted figures or bending of sensitive parts. Our magnet box is, due to its low weight, the ideal solution for storage and transport. 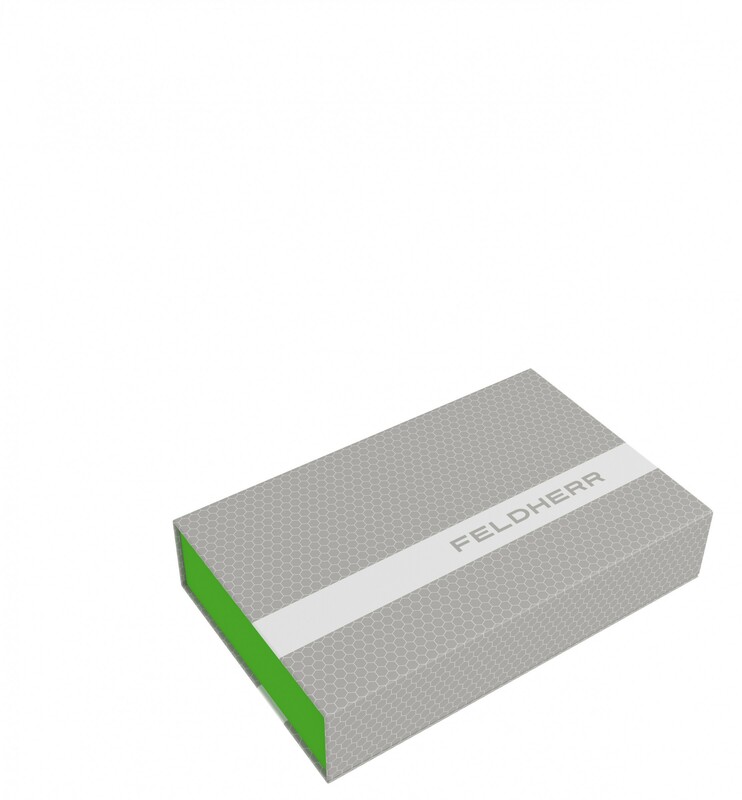 It consists of coated solid cardboard, in modern Feldherr design. 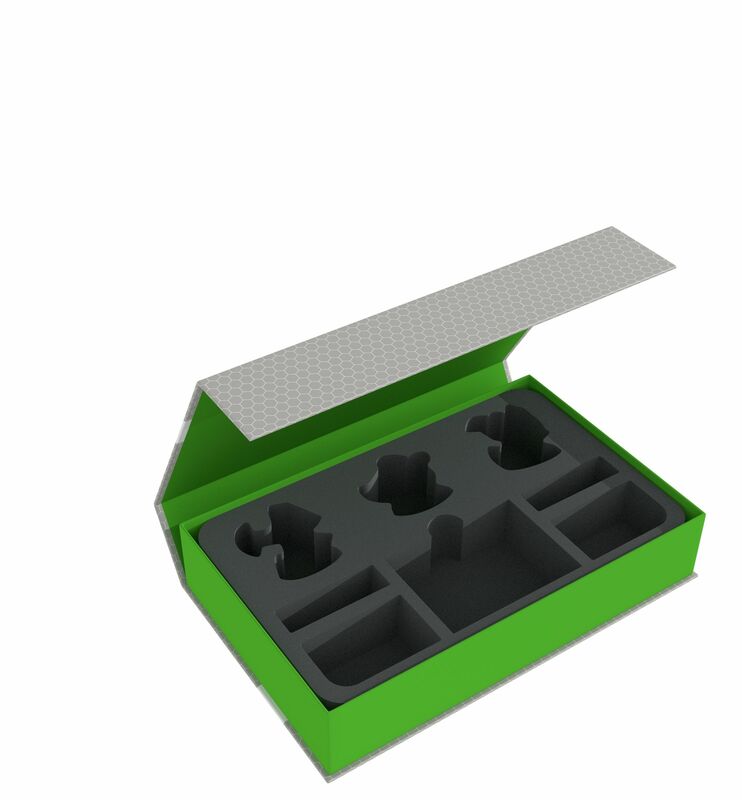 The light green box in which the foam tray lies is firmly glued to the casing. The casing also serves as a lid. Two integrated magnets at the front allow a safe and easy closing, so that nothing gets lost during transport. The set also includes the matching foam topper.